The National Hurricane Center said that the storm had maximum sustained winds of 130 miles per hour. Emergency declarations were issued for parts of Alabama, Florida and Georgia, and the authorities ordered tens of thousands of people to evacuate as they opened storm shelters and shut down schools. “Hurricane Michael is a monstrous storm, and the forecast keeps getting more dangerous,” Gov. Rick Scott of Florida said during an appearance on Tuesday at the state’s emergency operations center in Tallahassee, the state capital. The so-called "debtor-in-possession" loan, which companies need to have enough liquidity to keep running the business during bankruptcy, is the clearest sign yet that the department store chain may finally file after years of losses and speculation. Sears has a $134 million debt payment due Monday that it previously said it may not be able to cover. A bankruptcy is not yet definite and still could be averted. Sears&apos; CEO, Eddie Lampert has kept the company afloat through financial maneuvering and pouring his own money into the company. He may choose again to do so. In recent public appearances, Powell has argued that the Fed can countenance a fall in joblessness to an almost 50-year low without triggering an inflationary surge in large part because Americans believe the central bank will keep prices under wraps. “The key is the anchored expectations,” he said last week. The problem is that it’s not easy to divine what inflation beliefs are and how they might change. What’s more, there’s no measure of where companies -- arguably the most important players in setting prices -- expect the cost of living to go. That makes Powell’s focus on price expectations a potentially risky move as the Fed gradually raises interest rates. The Bank of England has asked UK-based lenders to provide six-hourly health-checks on their balance sheets in the days after a possible ‘no-deal’ Brexit as it seeks to avert a shock squeeze in credit supply to the economy, a senior industry source said. The checks would cover deposits, loans, currency and derivative exposures as well as any changes in the cost of funding and lending rates, the source told Reuters. SoftBank and WeWork this summer were discussing a smaller investment that would value WeWork at up to $40 billion, The Wall Street Journal reported in June. That’s what the billionaire media mogul’s conglomerate IAC/InterActiveCorp claimed on Tuesday, denying allegations that it bamboozled ex-Chief Executive Sean Rad and other Tinder founders out of valuable stock options last year. Rad, who was dismissed as Tinder CEO in late 2016, claimed last month in an explosive lawsuit that IAC swindled him and other Tinder co-founders out of $2 billion by lowballing the app’s value as it calculated the price of their stock options. Bloomberg, 76, has been a political independent since abandoning his Republican Party registration in 2007. He has said he is considering running for president as a Democrat -- making this one of his most overt moves to date toward a possible White House campaign. 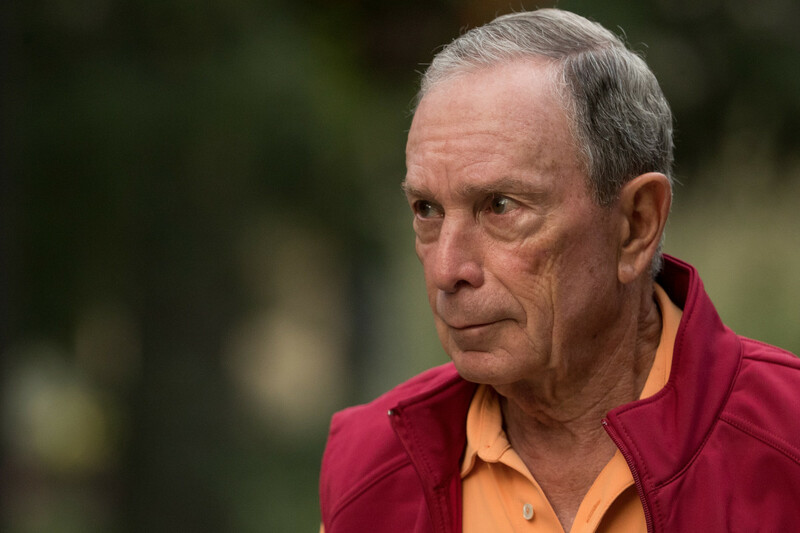 “Today, I have re-registered as a Democrat -- I had been a member for most of my life -- because we need Democrats to provide the checks and balance our nation so badly needs,” Bloomberg said. Earlier this year, images were released of donkeys climbing the narrow steps on the stunning Greek island of Santorini - laden down by obese holidaymakers. Now, the country&apos;s Ministry of Rural Development and Food has published a new set of regulations stating the donkeys giving tourist rides in Santorini should not carry any loads heavier than 100kg, or one fifth of their weight. The move comes after animal activists on the island claimed with obesity on the rise, donkeys were being forced to carry ever-heavier loads while they work long hours, seven days a week without shelter, rest and water - leaving them with spinal injuries and open wounds from ill-fitting saddles. Blood in the streets! ; Hurricane flooding streets! ; Sears off the street; Alaska's thicc-est bear; and more!